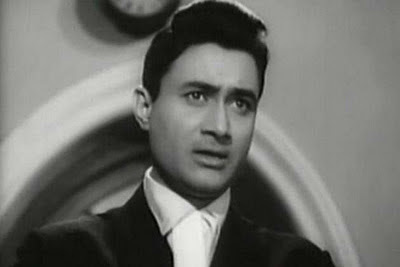 The legend called Dev Anand still lives in our Hearts, the departing of his body was just an formality. The legendary artist will rule our minds forever. We salute Devsahab the man who proved that, age was just a number for him. It was a great shock when the news came that Dev Anand passed away due to heart attack at the age of 88 in a London hospital. You can imagine the great popularity of the artist from the fact that all were shocked when the news of his passing away came even though his age at that time was 88. He left an example that you don’t have to stop at any stage of your life thinking that you are too grown up. His message is very much clear defend your principles till the end of your life. Don’t keep yourself engulfed in the past, live your present and think what best you can do in the future. That is the reason he still lives in our hearts and he will remain to stay in our hearts forever. He was born in a Punjabi Anand family on 26 September 1923. Named as Dharam Dev he was the son of an advocate Pishorimal with two brothers and a sister. He graduated from Government College Lahore. He began his career in the military censor's office in Mumbai. He was not a child born with a golden spoon. He struggled in his life achieving whatever he wanted, clearly on his merits and attractive personality. He was having good friendship with the actor Guru Dutt. Babu Rao Pai of Prabhat films gave him the first break of his life in the film industry. Secrets of Dev Anand: No one know? His most touching affair was with Surraiya the most popular singer of her time. However the love affair was not materialized into marriage. Apart from Surraiya he had affairs with Mona whose screen name is Kalpana Kartik, Zeenat Aman and many others. He was always surrounded by a crowd of young girls. He was called evergreen star of the Industry because he was successfully active in the film industry, for a quite long period. The secrets of Dev Anand’s evergreen personality quoted in his own words are a positive serene attitude towards life and keep your self away from things like liquor. Ashok Kumar gave him a chance to prove himself in the film Ziddi. After proving himself in his first film he never turned back and reached the heights like achievement of Padma Bhushan award along with six other major national awards. His notable performances in Hindi Cinema were Guide, CID, Jewel Thief, Baazi, Paying Guest, Kala pani, Tere Ghar ke samne and Hare Rama Hare Krishna. Travel Universally sincerely pays tribute to this great legendary personality of our time and once again salutes him.